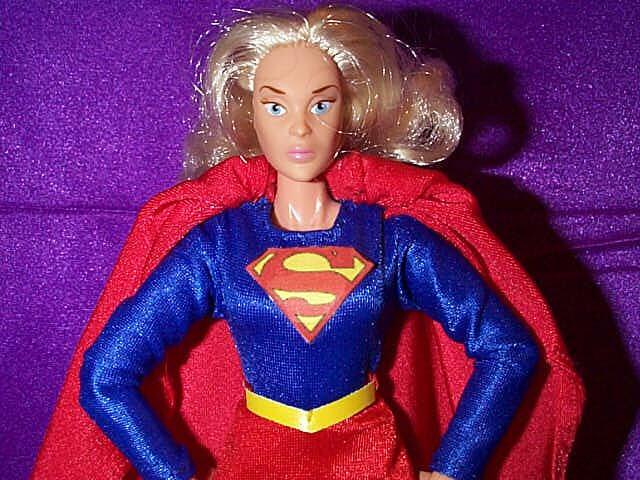 Here is a modern interpretation of Supergirl. I hadn't seen a Famous Cover custom of her with a skirt, just pants or shorts. 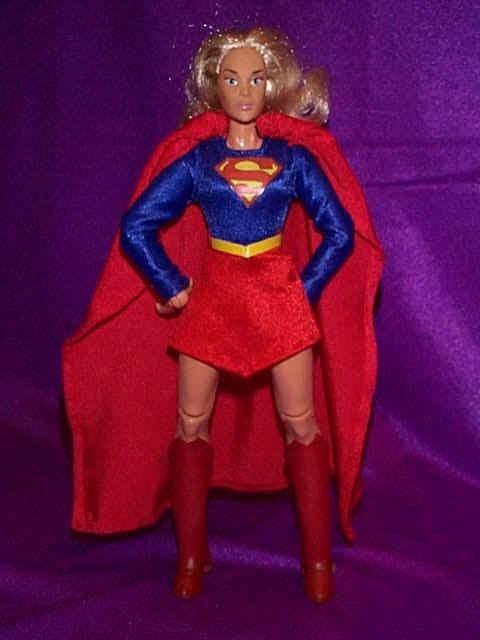 [Update: check out Nick's page for another Supergirl Custom in this same style!] In my mind she has to have a skirt. 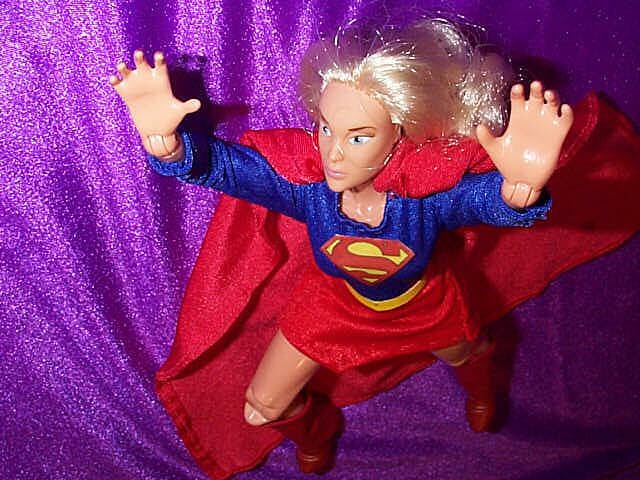 The head is from the Invisible Woman, and the body is from Dark Phoenix. The cape is from Thor. I made the rest of the suit. The emblem is from a image off the Internet. The boots are made of vinyl.